Man-of-the-moment Robert Lambert has notified Readypower Panthers bosses he will miss the top-of-the-table trip to Owlerton Stadium. 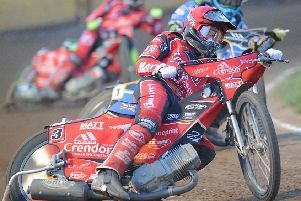 The 17 year-old was signed off due to illness after riding for Elite League club, King’s Lynn, in their victory over Wolverhampton last night. Panthers have no option other than to use the rider replacement facility to cover his absence. The club have drafted in Somerset star Brady Kurtz to guest at number one for the second successive meeting.